Available in more than 20 bright and opaque colors, Elegant Glass Nails UV Gel Color can cure in UV and LED light. 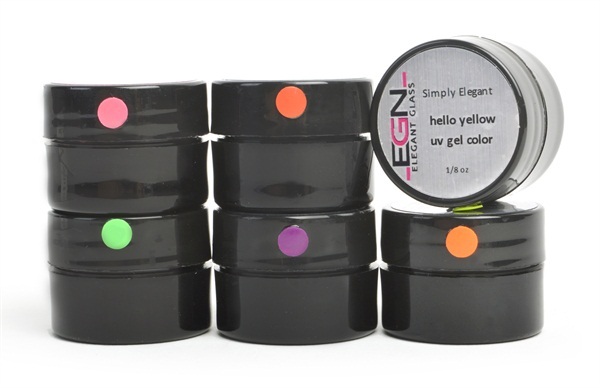 To win a set of neon colored gel, leave a comment on this blog post telling us what your favorite nail art technique using gel is. One lucky winner (U.S. only) will be selected at random and emailed directly on Monday, August 31. Good luck!